CallMiner is a proud provider of speech analytics solutions for improving agent performance. With 14 years of industry leadership and over 2 billion hours of conversations mined, we are able to deliver exceptional value to customers by delivering highly effective, usable, and scalable speech analytics solutions. CallMiner Eureka is a cloud-based customer engagement analytics platform that uses artificial intelligence (AI) to transform your Amazon Connect voice interactions into structured data, and analyzes the data to uncover powerful business insights about your customers and contact center performance. callstats.io monitors and analyzes the performance of Amazon Connect real-time communications, enabling you to rapidly troubleshoot issues and deliver high-quality services to customers. A scalable and easy-to-deploy SaaS solution, we monitor agent endpoints and use AI-powered algorithms to identify and help resolve voice communications problems. Available globally, callstats.io analyzes over 1 billion WebRTC metrics per month for customers in the contact center, collaboration and other industries. Founded in 2007, DialogTech provides actionable marketing analytics for businesses that value inbound phone calls. Consistently recognized as the leader and pioneer in call analytics and optimization, DialogTech is the trusted voice management platform for Fortune 500 brands, agencies, and fast-growing companies. DialogTech is a cloud-based voice management platform that integrates with Amazon Connect and helps organizations gather data on every call, in order to learn what elements lead to more successful calls. DialogTech enables your marketing team and sales agents to personalize each customer's journey with your brand and fine-tune the sales funnel for future customers. VoiceBase is defining the future of deep learning and communications by providing unparalleled access to spoken information for businesses to make better decisions. 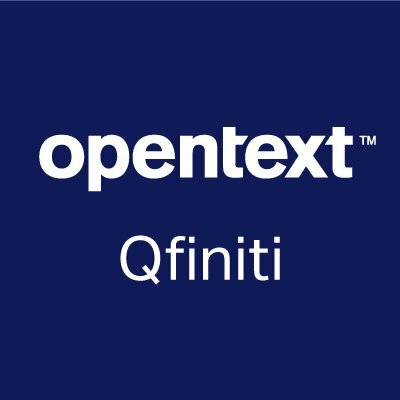 Our flexible APIs allow developers and enterprises to build scalable solutions by embedding speech-to-text, speech analytics, and predictive analytics capabilities into any big voice application. The VoiceBase integration makes it easy for Amazon Connect users to surface and analyze voice data from their contact center that can drive better customer service, improve agent training, optimize sales, monitor for compliance, and scrub sensitive data from Amazon Simple Storage Service (Amazon S3) buckets. Clinc creates unparalleled conversational experiences for the world's leading digital brands. Clinc's 'human in the room' AI understands messy and unscripted language, allows for corrections and backtracking and enables complex conversational flows. The Clinc integration makes it easy for Amazon Connect users to deliver the same human in the room conversational experience at enterprise scale within your IVR and digital channels. Please visit www.clinc.ai for more information. eGain customer engagement solutions power digital transformation for leading brands. Our top-rated cloud applications for social, mobile, web, and contact centers help clients deliver connected customer journeys in an omnichannel world. eGain Solve is a customer engagement and knowledge management platform that helps resolve customer queries through social, mobile, web, and contact center channels. 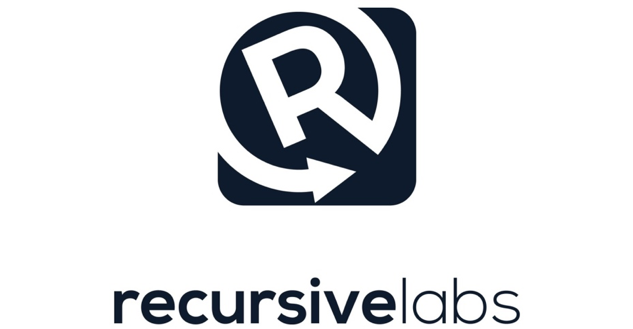 Recursive Labs is the leader in digital customer engagement. With our patented visual engagement platform, you can interface live with your customers on any device, including native mobile Apps. Our enterprise grade platform allows you to be effective from the consumer all the way to compliance. To create the full integration with Amazon Connect we built the API first with open APIs. SpiceCSM allows organizations unparalleled capabilities to innovate and transform their business operations without expensive, time consuming rip and replace initiatives. SpiceCSM provides the Customer Engagement Hub (CEH) platform, which connects disparate systems, people, and processes, and orchestrates interactions to improve the customer experience. This integration of SpiceCSM with Amazon Connect provides an end-to-end contact center solution. With SpiceCSM’s ability to integrate with any disparate system, data can be fed to Amazon Connect and read back to the caller via automated processes defined in SpiceCSM’s workflow engine, and the caller can easily engage with live agents without breaking the contact flow. Symbee is one of the first Amazon Web Services (AWS) Partner Network (APN) members to develop and deploy into production a full solution for Amazon Connect. Symbee Connect is a browser-based Agent solution that can be deployed on a PC and/or mobile devices! Symbee Connect Engagement drives digital interactions into the contact center by using a framework built to support Voice, SMS, WebChat, Social and all standard communication channels of today as well in the future. Symbee Connect Fusion will integrate Salesforce Lighting and other CRM solutions with Amazon Connect. The Symbee Connect Suite of solutions being announced are 100% focused on delivering a transformational customer engagement solution for our customers. As a pioneer in both cloud-based contact center and Omni-channel technology, USAN has been perfecting customer contact since 1989. Discover why some of the largest companies in the world trust USAN to provide their Omnichannel customer engagement technologies. Visual IVR for Amazon Connect extends your contact flows with omnichannel IVR functionality, boosting self-service adoption rates and improving customer satisfaction. WEBTEXT is the No. 1 messaging CPaaS for contact centers worldwide. The company is the only cloud messaging platform integrated with every major CRM contact center solution and related systems. This integration enables your Amazon Connect contact center to use SMS text, MMS pictures, Facebook Messenger, and other messaging channels to transform the user experience. Messaging-enabled contact centers support users in their preferred channel, on their preferred device. For nearly 20 years, Aria Solutions has been 100% focused on providing innovative, omni-channel contact center and customer engagement solutions. We offer business consulting, professional services, support and managed services. We are also a leading developer of value-added software products. Our customer base consists of many Fortune 1,000 enterprises, as well as mid-size and small companies, and government organizations. Our applications are used by over 500,000 agents and process millions of transactions daily. Kustomer is an omnichannel customer service platform and CRM that utilizes AI and a powerful workflow engine to help companies deliver on a conversational and effortless support experience built on interactions, not tickets. Kustomer and Amazon Connect deliver a customized voice experience through personalized IVR trees while increasing your contact center productivity with a single omnichannel support platform for voice, email, text, chat and social messaging. Perficient brings together multiple disciplines that, when combined, provide customers with a broad range of capabilities for a migration to Amazon Connect. One of the areas Perficient excels is services for Microsoft Dynamics. As such, Perficient is providing a number of services and solutions to ensure users of Microsoft Dynamics365 can create powerful customer care solutions that leverage Amazon Connect. In 1999, we pioneered CRM software in the cloud, helping 150,000+ companies run their business smarter. Today, we're creating a whole new economy that's helping millions of Salesforce users improve their lives, too. The integration of Amazon Connect and Salesforce Service Cloud combines the technology that powers Amazon.com’s global contact centers with the world’s #1 CRM platform. The built-in joint capabilities of Amazon Connect and Salesforce Service Cloud provide everything you need to build a complete, personalized experience through a single integration. Amazon Web Services and Salesforce provide scale and a pace of innovation to help you grow and evolve your contact center solution with your business’ and your customers’ needs. Zoho is the operating system for business—a single online platform that covers nearly every major business category, including sales, marketing, customer support, finance, human resources, and productivity/collaboration. Zoho CRM is a cloud-based, multichannel application for managing your customer relationships in a better way. It helps you streamline your organization-wide sales, marketing, customer support, and inventory management functions in a single system. Zoho CRM is light on your pocket and its features and integrations are unmatched. Freshdesk Inc. is the leading provider of cloud-based customer engagement software. Based in San Bruno, CA, with offices in Australia, India, Germany, and UK, Freshdesk has over 100,000 customers in 145 countries and counts more than 1,000 employees worldwide. ServiceNow, Inc. provides enterprise cloud computing solutions that define, structure, manage, and automate services for enterprises worldwide. The ServiceNow CTI for Amazon Connect is a powerful integration application for the ServiceNow & AWS ground breaking telephony platforms. Features include: advanced custom call control panel, hold, resume, end call, and transfer, post call history details into SNOW repository upon completion, click to dial, and IVR integration with ServiceNow screenpop. Zendesk builds software for better customer relationships. It empowers organizations to improve customer engagement and better understand their customers. They give organizations the flexibility to move quickly, focus on innovation, and scale with their growth. The Zendesk and Amazon Connect connectors provide an integration between your Amazon Connect telephony system and your Zendesk environment. The platform supports searching, displaying, and creating Zendesk items based on the call data associated with a voice call. Leverage the information collected within your IVR, Voice Portal, ACD, databases, and web services to 'Screen Pop' the agent's Zendesk session with new or existing Zendesk users, tickets, and more. The integration is two-way and supports the updating of the call data within your Amazon Connect telephony system and other contact center systems with Zendesk data. Zoho is the operating system for business—a single online platform that covers nearly every major business category, including sales, marketing, customer support, finance, human resources, and productivity/collaboration. Zoho CRM is a cloud-based, multichannel application for managing your customer relationships in a better way. It helps you streamline your organization-wide sales, marketing, customer support, and inventory management functions in a single system. Zoho Desk is the industry’s first context-aware help desk software for customer support. It organizes your tickets, automates repetitive tasks and gives you the context necessary to build meaningful customer relationships. Acqueon is a well-funded, profitable technology company that has 10+ locations worldwide. With a diversified client base across 20+ industry verticals, Acqueon is focused on delivering award-winning customer experience (CX) solutions based on industry challenges and domain expertise. Acqueon powers more than 40,000+ agents and over 10 billion outbound interactions annually across the globe for 100s of enterprise clients. Acqueon Engagement Cloud, SaaS based solution native to Amazon Connect, can easily orchestrate outbound and multi-channel interactions throughout the customer’s journey that enriches the CX experience via proactive engagements, driving positive business outcomes. Enghouse Interactive strives to be the world’s most reliable contact center technology provider. Our technology transforms contact centers into a growth engine for businesses globally. Businesses can leverage their contact centers to extract powerful insights, captured from the voice of the customer, to help increases customer retention, uncovers product opportunities, help to understand buyer personas and identify new revenue opportunities. As a Standard Technology Partner, the Enghouse Dialer integrates directly in to Amazon Connect. Through the use of algorithms and constant monitoring of dialing statistics, the dialer calculates the optimal dialing pace and generates a steady stream of live answers assuring each one is promptly connected with a live agent. This fine-tuned technology also features a pooled resource-sharing environment allocating phone lines in real-time to the task where they are needed most (e.g. agent-attended outbound IVR or inbound). Dialer pacing and resource allocation are dynamically adjusted throughout the day to keep your representatives talking, and assure no one, agent or contact, is left waiting. When our company began over 20 years ago, we established ourselves around the idea that customers should not have to experience the frustration of waiting on hold for an agent to become available. With the development of our first product, VHT Callback, we reshaped the contact center industry. Now, in 2018, the industry has expanded, technology has advanced, and we have transformed from more than just a callback company into a company focused on optimizing the customer experience. We strive to deliver on our promise to redefine the customer experience by providing innovative solutions that transform customer relationships. The VHT Callback cloud Amazon Connect Integration enables organizations to register a callback using an Amazon Connect Contact Flow and receive updates on the Estimated Callback Time (ECBT). Qualtrak was initially founded in 1998 as Europe’s first specialist consulting business helping contact centers of all sizes to implement an effective Quality Monitoring and Coaching program or to renew their quality program. Working with clients of all sizes, and using all of the major QM products, provided us with valuable lessons in what makes an effective QM/coaching solutions. We applied these lessons when we transformed our business model from consulting services to becoming a Partner-led company developing products for the Contact Center market worldwide. Evaluate for Amazon Connect by Qualtrak Solutions is a high standard agent evaluation (Quality Monitoring) and online learning solution that will help you to develop the skills of your agents and achieve the required standards in customer service, customer loyalty, brand values adherence, cross and up-selling, first call resolution, optimum call handling time and much more. It is easy and intuitive to use. Ease of use: You can enable SMG AgentTrack for your Amazon Connect instance with the click of a button. No technical knowledge to maintain surveys: With SMG AgentTrack, the survey questions are managed from a very simple web UI on the AgentTrack website. There’s no need to alter call flows to change your survey. Future integration points: This integration provides APIs to enable you to add survey capabilities to your own apps. Pindrop® solutions are leading the way to the future of voice by establishing the standard for identity, security, and trust for every voice interaction. Pindrop Protect is an advanced call center fraud detection and prevention solution that is seamlessly integrated with Amazon Connect, helping you deploy a secure, scalable, and cost-effective call center solution with ease. By using Phoneprinting™ 2.0 technology to quickly identify fraudulent callers, Pindrop helps you mitigate the impact of targeted attacks on your call center. Instead of relying solely on the call center’s skill in identifying fraudulent activity, Pindrop extracts 1,380 audio features from the call data, then uses machine learning technology to generate a risk score for each caller, helping you optimize the customer experience and keep your organization protected. RingCentral brings world-class collaboration capabilities to Amazon Connect. Boost the productivity of your Amazon Connect call center agents in North America by enabling collaboration with experts across your organization. Seamlessly connect with an expert through initiating a call, conference, or transfer at the click of a button. Calabrio is a customer engagement software company that provides analytic insights to catalyze growth through customer service contact centers. The Calabrio ONE software suite empowers everyone in an organization, from contact center agents to the CEO, with easy-to-use tools that provide a better understanding of their customers. Every interaction yields insights that expand customer consciousness, which is how leading companies now drive growth and long-term corporate prosperity. Monet Software is a global provider of a cloud-based Workforce Optimization solution that runs on AWS and enables contact centers and help desks to elevate customer experience, improve agent productivity, identify performance gaps, and empower your workforce to deliver an outstanding and efficient customer service. Monet WFO includes Workforce Management, Call Recording, Screen Capture, Quality Management, and Performance Management. The solution was designed from the ground up to run on multiple AWS availability zones and adhere to best practices from AWS for the highest level of security and availability. In addition, Monet WFO features a seamless integration with Amazon Connect enabling companies to host a growing number of key contact center solutions on AWS. NICE has over 6,000 employees and a presence in more than 150 countries. NICE is regularly recognized for innovation and the value it provides to more than 25,000 customers, including more than 85 of the Fortune 100. CXone Workforce Optimization Pro (WFO) applications' suite enable organizations to record voice interactions and agents screens, improve agent productivity, identify performance gaps, deliver targeted coaching, and effectively forecast workloads and schedule staff. ​Designed to support contact centers of all sizes from 50 agents to 1000’s of agents. The solution is ideal for customers that want to focus on their business and leverage the cloud for cost and scalability efficiencies, and automate their contact centers. You can forecast agents in minutes, determine interaction volumes, and schedule employees to meet demands. The multi-skill, multichannel forecasting tools support both short-term and long-term planning as well as trends and seasonality analyses. Teleopti WFM provides a multi-skill, scheduling optimization (chat, email) engine for effective agent planning. These tools take work-hour legislation, demand, and employee requests into account. Teleopti WFM provides real-time agent status and overviews. You can track agent adherence and adjust your schedules easily to maintain service-level goals throughout the day. For over two decades, we have developed domain expertise and market leadership in the areas of Customer Engagement and Cyber Intelligence. Our comprehensive portfolio of Actionable Intelligence Solutions turns structured and unstructured information into insights by leveraging machine learning technology and advanced analytics. Today, over 10,000 organizations in more than 180 countries, including over 80 percent of the Fortune 100 companies and government agencies worldwide, use Verint Actionable Intelligence solutions to power their customer engagement and cyber intelligence operations. With Verint and Amazon Connect, you can align your workforce with your workload to drive better engagements with your customers, improved employee satisfaction, and lower workforce management costs. ZOOM delivers a world class WFO platform as a complimentary, flexible, easy to spin up, pay per minute offering via a seamless integration with Amazon Connect. The future is here, your organization can pay as you go for all your contact center needs with ZOOM’s top tier WFO software paired with Amazon Connect. The Accenture AWS Business Group (AABG) combines the resources, technical expertise and industry knowledge of Accenture and AWS and brings it to the Contact Center, leveraging the powerful Amazon Connect platform. Our 4,000+ AWS-trained technologists across Accenture and AWS’s global footprints of 150+ countries are architecting and deploying AWS and Amazon Connect solutions across a diverse set of clients and industries, taking advantage of the Amazon Connect and AWS ecosystem capabilities to unlock significant customer experience, financial and operational benefits. Our Contact Center practice brings a deep understanding of the challenges and critical success factors for migrating to cloud, and transforming Contact Center operations. Amdocs contact center services combine Amdocs in-depth Telco industry know-how, with the Amazon Connect platform, to provide a cloud native contact center that perfects customer experience. Our deep industry knowledge based on years of working in customer focused environments, combined with our automation, DevOps and cloud expertise allows us to develop in-house capabilities that connect existing enterprise assets to the cloud. We enable a unified customer view that significantly reduces the average handling time and increase customer satisfaction while reducing operational costs. Amdocs, with over two decades of successful delivery track record and proven managed services, ensures you can benefit from the Amazon Connect contact center capabilities as they continue to expand in functionality and global presence in any industry, while being assured your contact center transformation project is turning to reality faster, with better results, ensuring a continuous customer satisfaction. With 12+ years of industry experience in transforming contact centers, Cognizant has been cited as a leader in Customer Experience (CX) by Gartner. We employ 4,000+ CX consultants who assist 300+ clients across the CRM landscape. A digital powerhouse, we combine CX/UX strategy, design thinking, and experience design to forge solutions in conversational AI, cognitive intelligence, virtual reality, augmented reality, and IoT. As an Amazon Connect Go-to Consulting Partner, we have 2400+ certified AWS professionals and 175+ clients who have leveraged our 40 transformational blueprints to transition to AWS. Deloitte is pleased to have been named an Amazon Web Services launch partner for Amazon Connect, enhancing its contact center capabilities. From strategy through implementation, Deloitte assists clients in implementing Amazon Connect, frequently at a lower cost than traditional solutions. Deloitte’s services help: define business case and strategy to improve B2B and B2C customer experience, define and prioritize features, transform capabilities, enable self-service utilizing Amazon Connect, and leverage the AWS ecosystem, to deliver holistic solutions. Servion is a global, consulting-led Customer Experience (CX) Management specialist and an Amazon Connect Go-To Consulting Partner. Leveraging over two decades of domain expertise and knowledge of legacy contact center technologies, Servion facilitates faster and efficient migrations to Amazon Connect. Servion implements Amazon Connect for enterprises through professional services powered by CX-Specialists certified on Amazon Connect and AWS components. Servion CX-Platforms is tightly integrated with Amazon Connect: ServIntuitSM, an Omni-channel platform delivers personalization, Next Best Action, Customer Journey Mapping, and Customer Effort Score. ServInsightsSM, a contact center analytics platform drives business decision making with historical and real-time analytics. TATA Consultancy Services (TCS) leverages the Amazon Connect platform, and incorporates a custom-built application to achieve a robust and future-proof contact center. It enables customers to leverage a feature-rich contact center that integrates with the existing database and web services applications, and can incorporate AI-powered conversational IVR. TCS custom-built applications, such as Wallboard, Reporting, and Agent Desktop, empower companies to achieve a perfect blend of components that meets their demands. TCS has a global presence and provides the Contact Center services in all regions of presence, provided the Amazon Connect service is available in that region/country. VoiceFoundry (VF) is bespoke integration firm focused solely on the contact center and Amazon Connect. Boasting one of the longest tenured relationships with the Amazon Connect platform, VF supports clients from offices in North America as well as in Australia, New Zealand, Singapore and Western Europe. Practice areas include migration services from legacy premise or cloud based platforms, Amazon Lex and Amazon Polly development for automated customer experiences, and a broad suite of AWS migration services for S3, AWS Lambda, Amazon Kinesis, Amazon Transcribe, Amazon Comprehend and Machine Learning. In addition, VF offers end to end managed and support services, and custom software add-ins such as proprietary connectors to Salesforce and ServiceNow and custom agent desktop interfaces. Aria Solutions is one of the first AWS APN partners to deploy Amazon Connect services and integrate Amazon’s new cloud-based contact center with other systems. We build contact centers and focus on delivering sophisticated, fully-integrated contact center capabilities – typically required for mid-size and large contact centers. CloudHesive is an Amazon Web Services Advanced Consulting Partner and Managed Services Partner headquartered in Fort Lauderdale, Florida with a satellite office in Buenos Aires, Argentina. Our core services include cloud consulting, migration services, DevOps, managed services, and managed security services with a focus on security, reliability, availability, and scalability. CloudHesive’s services are designed to assist customers at every stage of Amazon Connect adoption. Our dynamic contact center team help customers transform their contact centers to meet complex business objectives. CloudHesive provides migration services from other cloud contact center solutions and/or legacy on premise PBX/ACD platforms to Amazon Connect. We focus on automating customer engagements by leveraging next generation Amazon services such as Amazon Lex, Amazon Polly, Amazon Transcribe, Amazon Comprehend and Amazon Kinesis as well as custom Amazon Connect solutions for conversational IVR solutions, customer satisfaction surveys, wall board implementations, custom desktop integrations, data integration to our customers data warehouse, and other core business solutions. 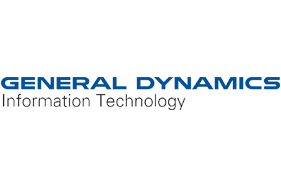 General Dynamics IT (GDIT) is an AWS Premier Consulting Partner, Channel Reseller, and leading government services provider. GDIT combines the specialization of a boutique AWS skillset with the broad capabilities of a large firm to lower risks and maximize the benefits that AWS brings to our clients. Our transition teams include application architects, solution developers, security architects, network specialists and system administrators who ensure a safe and efficient move to AWS. As an Advanced Consulting Partner, Lightstream has consulted, designed and delivered AWS cloud solutions since 2012. Our expertise in delivering AWS infrastructure combined with the benefits of Amazon Connect will allow customers to take advantage of machine learning, artificial intelligence (AI), personalized interactions, and self-service in your contact center. Lightstream offers introductions and technical training for Amazon Connect, AWS infrastructure services, 3rd party (ISV) Partners, and review of pricing models. We can also provide consulting services to provide TCO analysis of moving to Amazon Connect that can be completed in just a few days. Perficient’s Customer Care Practice helps organizations get more out of Amazon Connect and AWS. With over 10 years of contact center experience and deep expertise in custom software development and cloud solutions, we can help you pilot Amazon Connect, migrate production workloads, integrate with third-party systems (e.g. CRM, ERP, or ticketing), and customize and extend Amazon Connect so that it perfectly suits your business and your customers. With over 3,000 employees and offices across North America, as well as the UK, India, and China, we have the breadth of large integrators with the depth and attentiveness of a boutique consulting firm. With over 15 years’ experience in contact center technologies, a national footprint with 60 U.S. offices and 2,800 professionals, Presidio is well positioned to help customers implement Amazon Connect solutions to meet their business objectives. Whether customers are looking to implement full self-service IVR applications, introduce speech-driven interactions with their customer via Amazon Lex, or build integrations to backend systems to drive productivity, Presidio has the skills necessary to ensure successful outcomes for our customers. Symbee is an AWS Standard Consulting Partner and Marketplace SaaS provider specializing in Amazon Connect with customer engagement solutions. Our key offers are consult, design, build, implement, and to support customers in migrating premise-based solutions or building new Amazon Connect solutions. Symbee Connect SaaS offers strategic enhancements to Amazon Connect through Omni-Channel engagement delivering Voice, WebChat, SMS, Social, Preview Dial and Email. Symbee Connects SaaS approach brings other solution access, like Plantronics, Jabra, and Sennheiser headset controls for the agent, multiple CRM integrations, and access to our other partners like Voice Base for PCI Redaction and Transcription. USAN is a certified AWS Consulting Partner offering design, integration and implementation services for effective self-service and conversational experiences. Service offerings include USAN Jumpstart for Amazon Connect, an affordable two-week engagement that delivers a production Proof of Concept, immediately demonstrating the value of an Amazon Connect deployment. USAN also provides out-of-the-box solutions for Amazon Connect as a Seller in the AWS Marketplace, such as Visual IVR and USAN Engage, an omnichannel orchestration platform. With over 25 years of hosted contact center experience, USAN has a proven methodology for deploying successful and impactful Amazon Connect solutions. Arcus Global went through a rigorous accreditation procedure and was successful in being selected as a ‘go-to’ Amazon Web Services Partner for Amazon Connect consulting and implementation services. Arcus is pleased to be working with AWS as we believe Amazon Connect provides the most innovative cloud-based contact center ecosystem on the market. As an AWS partner Arcus Global’s primary focus is within the UK public sector, however, we are open to working with any organization which is looking to get the most out of our expertise with AWS, Amazon Connect, and Salesforce. Connect Managed Services is proud to be one of the most skilled and experienced partners for the Amazon Connect service in the UK. Since the launch of the service in the UK, Connect has engaged at a strategic level with the Amazon Connect team. We are in a unique position to build services and integrations within Amazon Connect to facilitate co-existence within hybrid contact center technology environments. We are Amazon Connect’s go-to partner for programs which require complex integration. A testament to this is Connect being the only partner globally to have worked with Amazon to re-develop its CCP for one of its top 5 global customers. ECS is a UK based Amazon Connect Go-To Partner with over 50 Amazon Connect trained specialists and growing fast. ECS is focused on enterprise customers, particularly in financial services, and brings a wealth of experience, scale, and proven capability to design, plan and implement optimum AWS solutions for some of the biggest, most demanding and heavily regulated businesses in the UK. KCOM helps both enterprise and public-sector organizations to design, architect, and deliver a fully scalable customer contact center that re-imagines the way they interact with customers. We differentiate ourselves from other providers through our expertise in both cloud and contact center environments, and as an agile-practicing organization, we can mobilize quickly to deliver on customer requirements successfully. We have a deep understanding of operating contact centers and have delivered and run the largest virtual contact center in Europe. We are proud to be an AWS Network Partner with over eight years experience, accredited to deliver Amazon Connect cloud contact centers in the UK. ScoutTECH specializes in Amazon Connect, Amazon Lex, Amazon Polly, AWS Lambda, Amazon Transcribe, Alexa, Amazon Comprehend and AWS Sumerian - the portfolio that allows customers to optimize, innovate and re-engineer customer engagement. ScoutTECH clients realize outcomes like Amazon Lex to automate customer inquiries, AWS Sumerian to enable virtual agents, Amazon Transcribe and Amazon Comprehend to report on compliance, Amazon Connect to enable global contact center services, Alexa skill development for at home service, and Amazon Quicksight for real-time reporting. ScoutTECH has the technical and operational expertise to enable do-it-yourself (DIY), fixed price POCs, TCO analysis, or manage the innovation process using Amazon Connect and the related portfolio of AWS products. Explore and learn with how to get started with Amazon Connect. Get started with Amazon Connect in the Amazon Connect Console.